Brightpaw takes a look at some of the characters connected to Mapleshade. Hello there! Today I will be discussing whether commonly hated cats associated with Mapleshade are innocent or not, and also if Mapleshade deserves StarClan or the Dark Forest. (I know there’s like 185 articles on this, but whatever). Without further adieu, let’s start off with the notorious Appledusk. Why he was murdered: Appledusk betrayed her by sending her away in her time of biggest need, abandoning her for of his Clan and a different she-cat, and blaming her for the death of their kits. Discussion: Let’s observe from Appledusk’s point of view. 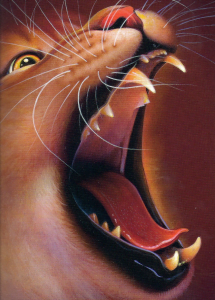 In RiverClan, Appledusk has a mate carrying his unborn kits, the Clan he’s lived in and been loyal to his entire life, a young apprentice, shelter, water, and plentiful prey. If he favored Mapleshade over all that, he would most likely be exiled and face uncertainty and a large possibility of being killed in unknown territory. Which would you choose? Plus, it wasn’t Appledusk’s fault that he and Mapleshade’s kits drowned; it was Mapleshade who decided to try to cross a clearly unsafe river with three young kits, instead of waiting out the storm. It is shown that Appledusk tried to save the kits and really did love both of his families. Even at the end, when Mapleshade kills him, he says that he doesn’t want to fight Mapleshade, and tells her to leave before he called a patrol. After all that had happened he still valued Mapleshade’s safety. Why she was murdered: Frecklewish was there when the kits and Mapleshade tried to cross into RiverClan’s territory. She sat by and did nothing when the kits were clearly in great danger. 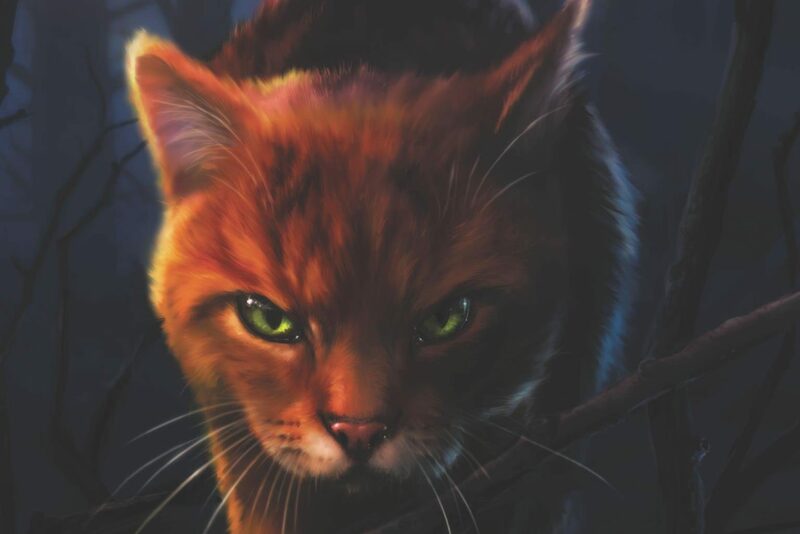 Discussion: When Mapleshade tries to kill Frecklewish, Frecklewish defends herself, saying that she thought the RiverClan patrol was going to save the kits and it was all under control. There was no way she could have known the kits would die. Frecklewish also gets a lot of hate because Frecklewish assumed the kits were Birchface’s, without Mapleshade saying so, and then got angry once the Clan discovered they were Appledusk’s and Mapleshade ‘lied’. First of all, maybe Mapleshade didn’t outright say they were Birchface’s, but she played along, which might as well be lying. Second, think about it. You have just discovered that your brother’s kits will be born into the Clan, and you are ecstatic that his legacy will continue on. Then you find out that the father of the kits is actually the one who, as far as you know, killed your brother. What made it worse was that it was your best friend who was lying to you the entire time. I don’t blame Frecklewish for being angry. Why fans hate him: He exiled Mapleshade and her three young kits in the midst of a terrible storm. Discussion: Before Mapleshade’s vengeance, I assume Oakstar’s mate was killed, which meant that Birchface and Frecklewish were the only family he had left. Birchface died in the most recent battle for Sunningrocks, leaving only Frecklewish (and Oakstar was probably still grieving for his mate when this happened, making it worse). He must have been overjoyed to learn that his family would carry on through Mapleshade, only to find out that his grandchildren’s father was actually the cat that killed his son. It was foolish to exile the kits as well as the mother, but if Mapleshade’s actions are justified with ‘she was blinded by grief’, why can’t Oakstar’s? Why he was murdered: After receiving a prophecy concerning Mapleshade and watching her interact with Appledusk, Ravenwing ignored Mapleshade’s pleas to keep the secret and told Oakstar what he had seen, thus leading to the exile of Mapleshade and her kits. Discussion: It is the duty of a medicine cat to share their visions and prevent danger within the Clan. And Mapleshade was dangerous. The traumatizing events of her life triggered the ability to murder that was already within her. So Ravenwing was just trying to protect not only his Clan but all the Clans, like he swore to do when he became a medicine cat. It was right not to lie to his Clanmates, and they did deserve the truth. I also sympathize with Ravenwing because he was an inexperienced medicine cat, trying to figure out how to get on without his mentor to guide him. However, there is one quote from Ravenwing that disturbs me: “I’m sorry, Mapleshade. Sorry for you, but even sorrier for these kits. They will end up suffering for the lies that you have told.” –Chapter 3 of Mapleshade’s Vengeance. This shows that Ravenwing knew Mapleshade’s kits would suffer and did nothing but be sorry for them. He didn’t attempt to make Oakstar see reason and keep the kits but exile Mapleshade, or at least wait until the storm was over. To me this is evil. Even if StarClan told me to I wouldn’t exile three innocent young kits, knowing that they will suffer. Conclusion: I would say that Ravenwing is neither guilty nor innocent. He was right to tell the truth, and didn’t deserve to be killed, but he knew that the kits would suffer and didn’t give two mouse tails. Now, I will be discussing Mapleshade herself: did she deserve StarClan or the Dark Forest? I would say the Dark Forest, because murder can’t ever be justified. Sure, she was hallucinating, but that doesn’t mean it was okay for her to kill. Think of it from a human perspective: you’ve just learned that there was someone who went crazy and started killing innocent people. I sure wouldn’t side with the murderer. And was Mapleshade ever really a good cat? As I said before, the traumatizing events of Mapleshade’s life triggered the ability to murder that was already within her. If she truly wasn’t evil I don’t think she would go on a murderous rampage. PREACH! I hate Mapleshade so pls dont kill me.. I think that they’re all innocent… even though they made some dumb decisions.